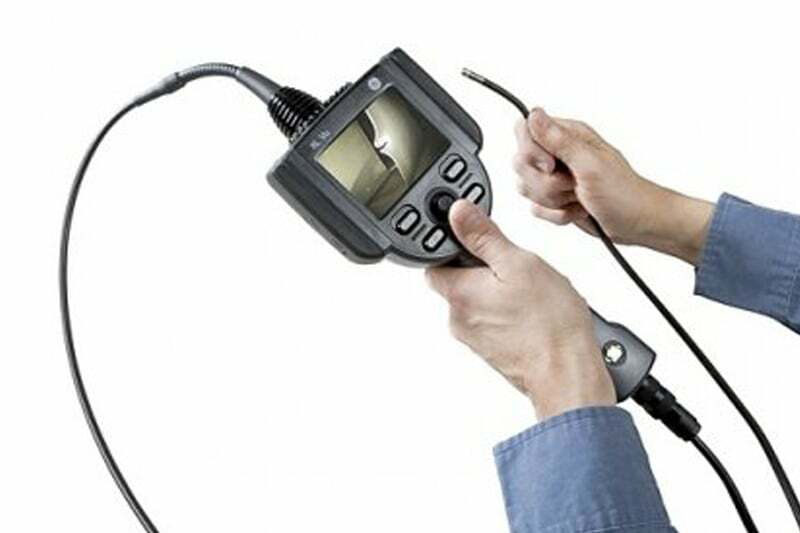 The XL Vu+ VideoProbe is an outstanding general-purpose video borescope, perfect for choice if you’re looking for remote visual inspection rental equipment. XL Vu+ VideoProbe is a rugged unit, built with high impact-resistant polycarbonate housing to withstand even the toughest environments. Yet, even with this impressive durability, the XL Vu+ is incredibly lightweight and perfect for confined space inspection. The XL Vu+ VideoProbe system employs high-output LEDs and a full-VGA LCD delivering clear and accurate images in still photos or video. With the XL Vu+ VideoProbe, remote visual inspection is a breeze. Its intuitive controls make it simple for anyone to use. With its compact size, long running battery time and 1GB internal memory, the XL Vu+ VideoProbe offers unparalleled portability. Contact us to find out more about the XL Vu+ VideoProbe or any of our other borescopes, or click to view our pipe inspection camera range. MDI software automatically annotates saved images, names files and creates Microsoft Word compatible reports.